Hm, I guess no one realistically expected a happy ending, did we? Did we? Sigh. I kinda did. But I should’ve known better. Castle Rock doesn’t breed the carefree hero. Every joy is paid for. Every action tinged with doubt. And it’s been an amazing, tragic, mesmerizing ride. I’ve truly appreciated the care they’ve taken in choosing episode titles. The multiple meanings have kept me thinking. 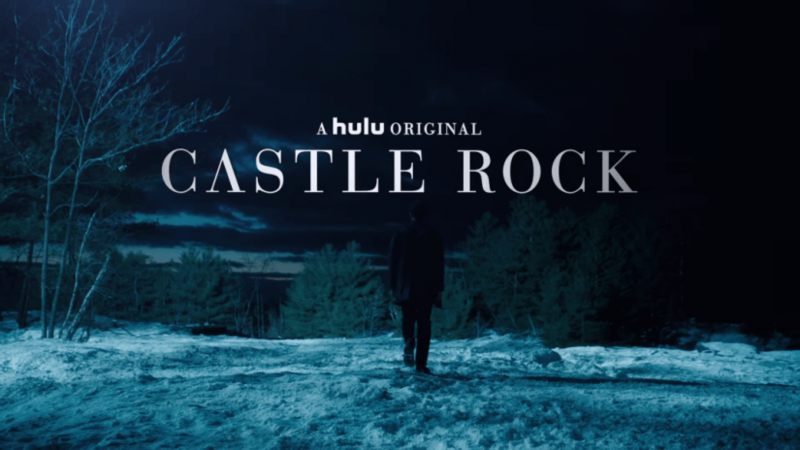 In this case, there’s a Bible verse from the Book of Romans that crops up a few times but if you think of the saying, “When in Rome…” and apply it to Castle Rock, it adds a bone-chilling nuance. We begin in the near past, in the Shawshank cage with The Kid and Dale Lacy. The soon-to-be former warden pushes a tray of food to the cage and then says grace without a hint of irony, asking his god to “keep us ever mindful of the needs of others” as he prays over a boy he’s kept in a cage for 27 years. He pulls out a revolver and mutters to himself and The Kid about how he put his life (and family) on hold while he waited for God to give him instructions. He points the gun at The Kid who moves eagerly towards him, almost straining between the bars to get closer to the muzzle. But Lacy is still uncertain and he lowers the gun and just shakes his head. The Kid sits back, mild disappointment on his face. In the present, Shawshank’s new warden, Theresa Porter, watches from her office window as her inmates are loaded onto buses in the prison yard to be transferred to other prisons. In the old Lacy house, the short-lived Castle Rock Historial Bed and Breakfast, 27 years of Lacy’s painted portraits of The Kid adorn the walls. Out front, Gordon lies on the driveway with an axe stuck in his skull while Jackie Torrance contemplates what drove her to put the axe there. Wendall gets off a bus in Jerusalem’s Lot and Henry jumps into his car to go look for Ruth. And then there’s Ruth. Standing on the bridge she jumped off while Alan was making his speech in “Harvest“, the bridge they were dedicating to Alan, in fact. Standing on the same pillar she jumped off then. 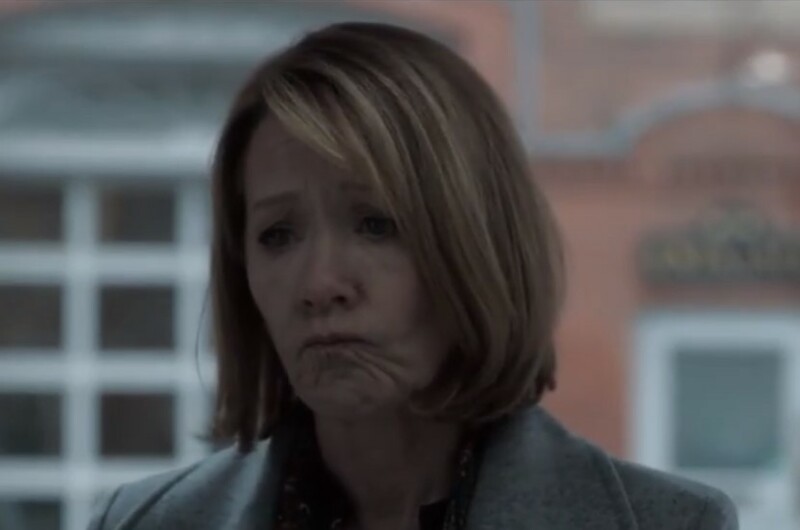 Molly tries to call Henry but gets his voicemail (AGAIN) and is leaving a message when a flock of birds blinds Henry while he’s driving and he crashes his car into a pallet of building supplies and gets knocked unconscious. While Molly’s out, probably looking for Henry, she finds Ruth instead. When she tries to convince Ruth to come down, Ruth explains that if she jumps, she’ll wake up in the hospital with Alan at her side. She knows he’s dead but she insists he’s also alive because time is all screwed up. She looks Molly in the eye and states that they’ve both been there before, on the bridge, and they’ll be there again. When she responds to Molly’s pleas to come down by saying, “You always say that,” Molly changes tacks and uses some of what The Kid told her about the other reality and manages to intrigue Ruth enough to get her down and home. Warden Porter takes the list of inmates transferred out from a guard. Shawshank’s on a deadline to clear out everyone and other prisons are slow to respond to the request for transfers. The TV news on in the background reports on the search for The Kid and the guard comments on how one “headcase” brought down a one-hundred-year-old institution. The Warden goes home and discovers a carved soap figurine of herself. The Kid’s not there but he was. Twenty-seven years ago, Matthew Deaver leads young Henry through the woods and snow and asks him if he hears the Schisma. When Henry pretends he does, Matthew catches him out in the lie and tells him that the reason he can’t hear it is Ruth. He shares that he knows she’s been having an affair with Alan Pangborn and that “the wages of sin is death” a passage from the titular book of the Bible. 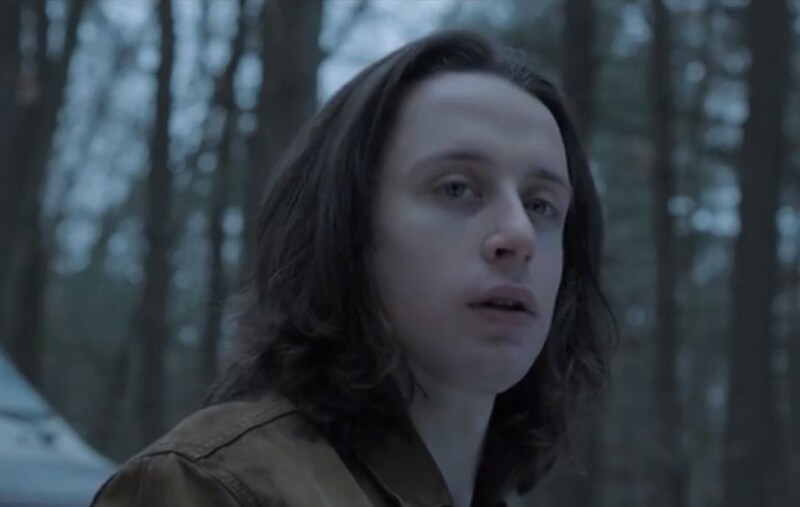 Knowing Matthew plans on killing Ruth, Henry runs away into the woods. 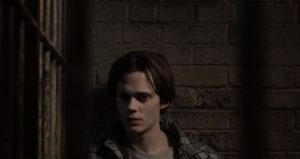 In the present-day, a Castle Rock resident wakes the unconscious adult Henry by waving a dead bird at him and blaming it on global warming. Henry starts his car and drives off. In the woods, Wendall comes across the police investigation of Odin Branch’s homicide. Willy is at the scene as well. At the Deaver house, Ruth is sorting chess pieces when Henry comes in the door. Molly explains where she found Ruth and then describes her encounter with The Kid. Henry is more than skeptical of The Kid’s story of another reality and is determined to turn him in rather than help him get “home”. Molly recognizes that Henry won’t help The Kid and refuses to give up the location where he can be found. The phone rings and it’s the police calling about finding Wendall in the woods. 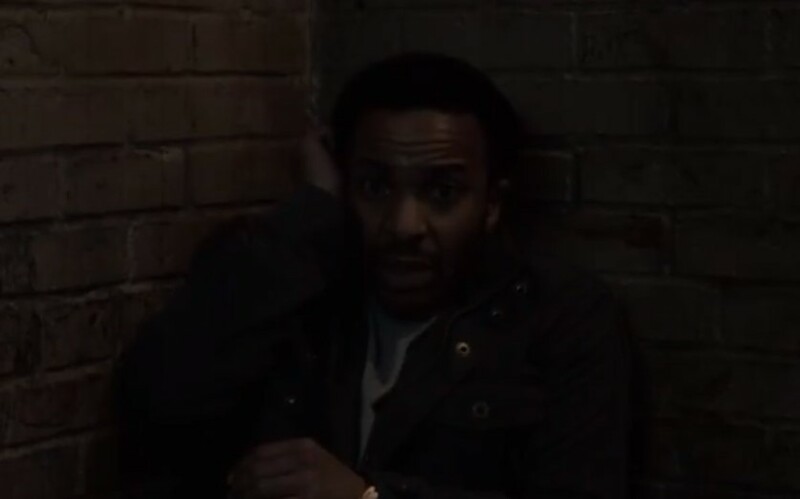 Henry rushes down to the station where Wendall explains that he had to get off the bus and come back to Castle Rock because of the sound in the woods he suddenly hears. When they try to leave, the police captain calls Henry into her office. He tells Wendall to wait in the front room. Warden Porter knocks on Molly’s downtown office door and asks where The Kid is. She’s distraught and shows Molly the soap carving she found. She tells Molly that she believes Warden Lacy’s theory that The Kid is the Devil and then proceeds to have a breakdown. 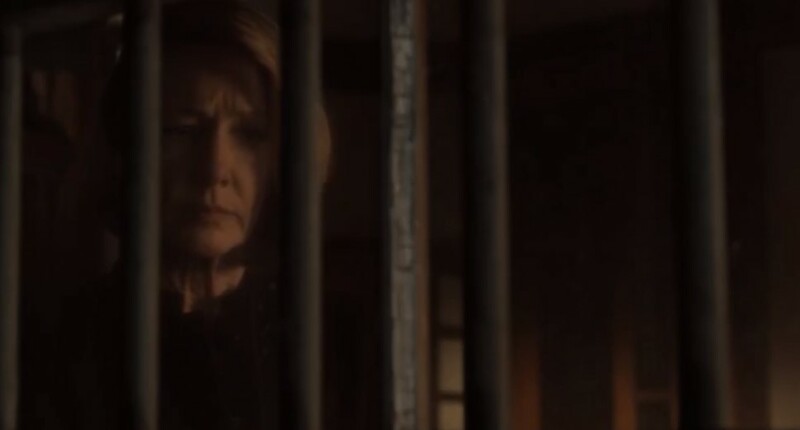 Molly tries to reach out to her but she turns away and steps into the street and immediately gets hit by one of the Shawshank prison transports. In the captain’s office, she presents Henry with documentation of all the weird deaths that have occurred around him and then arrests him for Odin Branch’s death based on Willy’s testimony and Henry’s DNA all over the RV. He demands his phone call. He calls Molly who is being questioned about Warden Porter’s death just down the street. 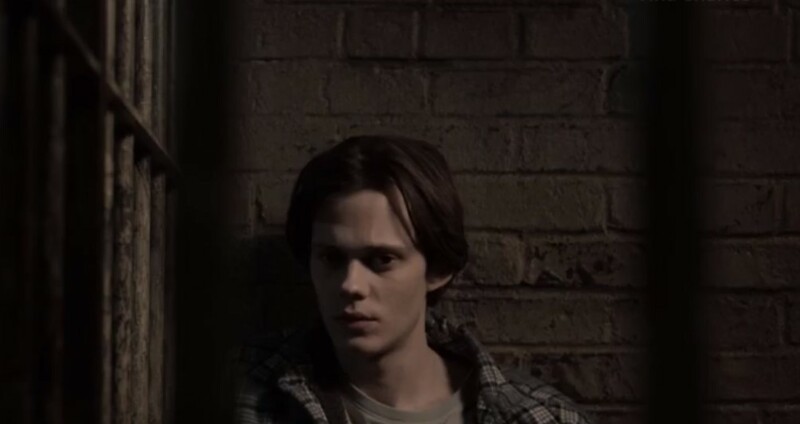 Molly brings him the soap carving and, looking at it, he asks her to take Wendall back to his mother in Boston and then to keep driving and get herself away from Castle Rock and him. She points out he doesn’t even live there but he’s pretty sure he’ll be blamed for the deaths and won’t be leaving anytime soon. As Molly is ushered out by the supervising officer, she tells Henry that The Kid is waiting for him at Harmony Hill Cemetary. As Henry gets walked down to his jail cell, The Kid waits for him only to be accosted by the police. 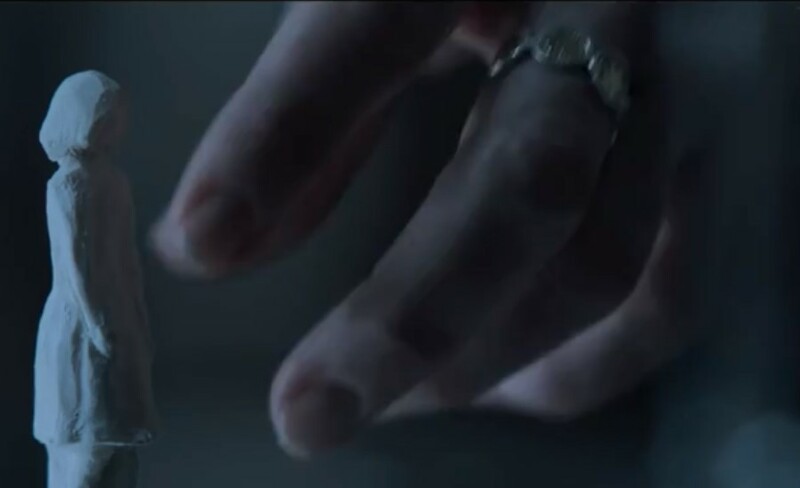 He’s tackled to the ground and cuffed at the grave he wanted to show Henry, where Matthew and Ruth had buried their biological son in this reality. As Molly drives Wendall out of town, she tries to reassure him that his father didn’t do anything wrong. She points out that the town has a f*cked up history and Wendall asks if it has to do with the sound in the woods. Molly doesn’t know how to respond to that. 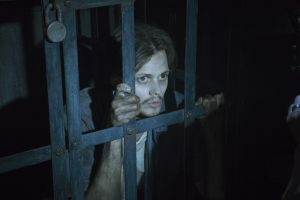 The Kid is locked into the other jail cell and he and Henry have their first real conversation. 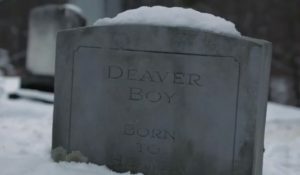 When Henry asks what would’ve happened if The Kid’s Ruth had stayed with Matthew, The Kid is certain that Matthew would’ve killed her. And then he quotes Romans 6:23. Henry’s uncertainty begins to show. Turns out a busload of prison convicts are hard to keep chill when the bus isn’t going anywhere due to the dead Warden’s body under the wheels. They all get housed in a single jail cell instead, made possible by moving Henry into The Kid’s cell. Initially, the Shawshank inmates are focussed on catcalling and taunting The Kid but, just as with the family birthday party he spied on, they quickly begin to turn on each other with Henry intently observing the effect of The Kid’s presence on everyone around him. When one inmate gets shanked, the officers open the cell to examine the wound and the injured inmate takes the opportunity to attack the guards. All hell breaks loose and the cell keys slide right to a stop at The Kid’s feet. There are sounds of gunfire, shouts, and screams from the rest of the police station. The Kid waits until everyone else in the room is dead or dying, unlocks the cell, and tells Henry to come with him. Henry’s in an understandable level of shock. Everyone in the upper level of the police station has been shot by the time The Kid and Henry reach the front door. Henry hears a voice and finds Willy dying on the floor. He goes to him and Willy advises him with his dying breath not to go “out there”. The Kid urges Henry to come with him and Henry refuses. The Kid points a gun at him and forces him to get up and leave with him. They head through the woods to the bluff and Henry suddenly remembers the night he ran from Matthew. He found himself on the bluff and then backtracked in his own footprints to lure Matthew out to the edge so he could push him over. Having done the deed, he suddenly hears the Schisma for the first time. In the present, Henry’s ears are ringing again and when The Kid gets distracted by a helicopter overhead, Henry takes the opportunity to knock him over and take the gun. Holding the gun on him, Henry sees The Kid’s face as a monstrous visage for a brief moment, horrifying him. And then The Kid is The Kid again and Henry is left with a choice. Fast-forward a year and Henry’s practicing law in Maine. He’s living in Castle Rock and Wendall comes to spend Christmas with him at the Deaver house. Ruth has passed and is buried with Alan, next to her nameless baby. Molly followed Henry’s advice and sells real estate in the Florida Keys and hangs out with her grandmother occasionally. And we end where we begin. Somehow, Henry’s gained access to the Shawshank building, rebuilt The Kid’s cage, and reincarcerated him. He has become the new Warden. He brings a burger and fries on Christmas Eve for a treat. When The Kid asks him how long they’re going to continue on like this, Henry has no answer for him. The Kid warns Henry that the time will wear him down, that Warden Lacy used to say, “After a while you forget which side of the bars you’re on…” Henry wishes him a Merry Christmas and heads up the ladder. 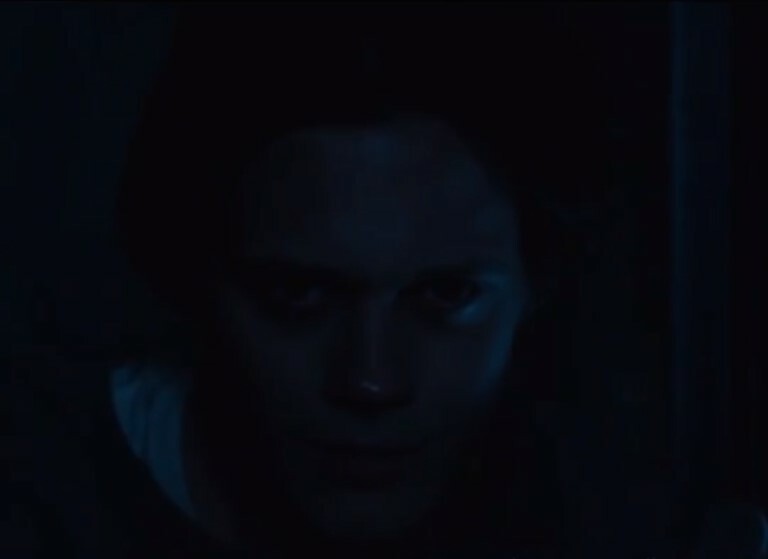 In the darkness he leaves behind, the last thing we see is The Kid’s direct gaze and a smile of anticipation. But that’s not the end. They tack on a clever little stinger scene of Jackie Torrance finally getting her book on its way. Her plan is to head to The Overlook Hotel out West to research her infamous uncle. After all, she tells her peanut gallery, “The best place to finish a book is where it started.” Pretty on the nose but, yeah, it’s a fitting end to a premiere season about the power of place. 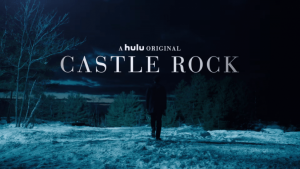 Castle RockÂ has been renewed by Hulu for a second season and will probably return in July 2019.